I’m shopping for an OBD-II port scanner for my car but there are just too many options and prices. Any suggestions? This question was answered on January 24, 2019. Any vehicle built in or after 1996 has a small port, usually under the steering wheel, for diagnosing issues with the vehicle. The OBD-II (OnBoard Diagnostics) port is not just for your mechanic as many consumer products are available that allow you to get more detailed information when your engine light comes on. The engine light on your dash is a general indicator that something is wrong with the operation of your vehicle, but it doesn’t tell you if it’s a minor problem like an emissions issue or something that could be very damaging if you continue to drive. Whenever you take your vehicle in for service, one of the first things they will likely do is run a scanner program through the OBD-II port to get a code, which points to the specific area of the vehicle that is experiencing an issue. Having the ability to run a scan yourself and either lookup the error code online or call your mechanic with the code takes a lot of the mystery and stress out of the equation when an engine light appears on your dash. There are many handheld devices that include a display that can plug into the port but for most consumers, I like the small modules that connect to your smartphone through Bluetooth. 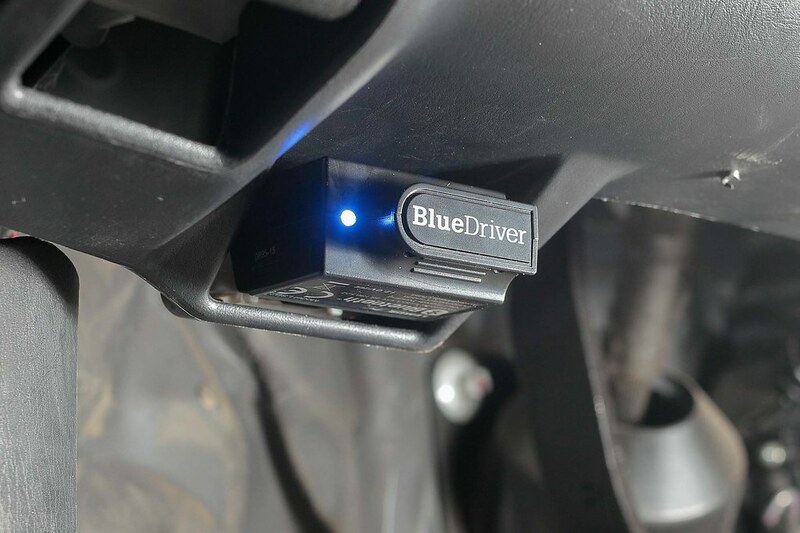 I personally use the BlueDriver device (https://bluedriver.com) because it’s extremely comprehensive and includes a lot of vehicle specific information such as recalls and service bulletins. I tow an RV with my truck and have had the ‘mysterious engine light’ appear while on a road trip. When you’re away from your trusted mechanic, it eliminates the need to find someone trustworthy to determine what your issue might be.